PALM SPRINGS, Calif. – When it comes to 23-year old pitcher Payton Lobdell, one word comes to mind: Experience. Because of that experience, he finds himself pitching on the independent circuit, trying to pave his own path to the big leagues. 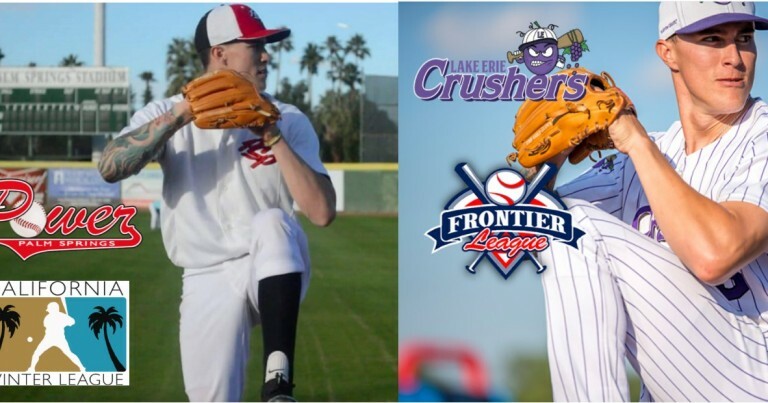 Lobdell is about to complete his first season of professional baseball with the Lake Erie Crushers of the Independent Professional Frontier League. His rookie season has had it’s fair share of ups and downs, but all in all, he’s put together a very respectful rookie campaign. Lobdell has logged 83.2 innings, earning a 6-7 record and a 5.81 ERA. The Huntington Beach native pitched for the Power during the 2016 season and went on to pitch in the 2017 California Winter League. In a recent interview, Lobdell talks about how his time with the Power and the California Winter League helped prepare him for professional baseball. Why did you choose to take part in the California Winter League? Was the value of the CWL experience everything you thought it would be? How has the CWL helped you with your professional baseball career? “The CWL basically started my professional career. They gave me the opportunity to play in front of major league scouts from around the nation and eventually landed me my first job, with the Southern Illinois Miners. What types of players do you think would benefit from the CWL? What were you able to learn from this experience? Do you feel you have improved as a baseball player? What are your thoughts on the Palm Springs Power summer league and what did you take away from that experience? For more information on the California Winter League, click here. For more information on the Palm Springs Power summer season, click here. 2017 SCCBL Championship Shirts Are Available!